Through out the year the campus provides stimulating environment and a lot of opportunities to learn even out side the class room. Hence, GLBians are very much proficient at not only organizing grand events but also at winning them. One primary purpose education is stressed in college, is for students to get into a good company or organization, which determines one's career, which determines one's life. As of now, companies are steadily emphasizing the magnitude of a "well-rounded individual." Notice it doesn't say "student", which is defined as somebody who is partaking in education; it says individual because companies and organizations no longer look only for the brains of the school, but the person with both brains and activities under their belt. Instead of sticking your nose in a book, one also needs to put their strength into pursuing activities that display drive and initiative. Hence, GL Bajaj Institute of Technology and Management introduces ICC: Innovative and Creative Cell, for all round development of its students. It is also certain that the ICC would be the central and only forum for students’ activities in the institution. However, its structure may be expanded and functions may be extended as per need in the future. Plan your skills and skill your plans This logo has been decided for the forum. The tag line “plan your skills and skill your plans” indicates encouragement towards better utilization of time, talent and potential already possessed by an individual. 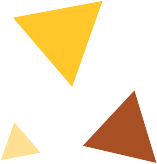 The logo shown above has already been used in events like “Technokriti 2012” held on 12th and 13th of April, 2012. “Successful people don't do different things, they do things differently"
1.) The highest authority in the ICC shall always be the head of the institution. 2.) The faculty head shall monitor and control the overall functioning of the ICC. 3.) The ICC shall be headed by a Convener and a Co-convener from the final year. 4.) Treasurer(s) is supposed to look after monetary and financial aspects. 6.) Each wing shall have faculty coordinators to mentor and guide the students. 7.) Each wing shall have a Convener (final year student) who would be in charge of its overall functioning. 8.) The Co-convener of a society shall be from the third year. 9.) Further, the wings shall have members. 10.) The members can be from second, third and fourth year of BTech, and also from MCA and MBA. 11.) The office bearers along with faculty member(s) shall be responsible for monitoring the overall conduct of all members of the ICC. If the Students’ Charter (ref. article 8.2) is violated by any member, the office bearers reserve the right to cancel the membership of the student, without the refund of membership charges. THE TECHNICAL, EDITORIAL AND SPORTS SOCIETIES SHALL SHORTLY BE RENAMED. Be it Leadership, Teamwork, Time or Resource Management, GLBians always leave a lasting impression…. 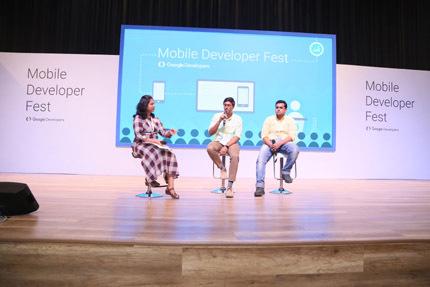 This is an immense pleasure for our college (G. L. Bajaj Institute of Management & Technology, Greater Noida) that roll out the "Mobile Developer Fest" Conducted by the Google Team" on dated 20th and 21st Nov, 2018 in our premises. It is a Google Event that creates an outreach and provide awareness among the participants about the different Google Products, courses , developer stories and initiatives happening in India. On Day 1 Google Performs live "Android CodeLabs on hand experience of 3hrs on Day 20th Nov, 2018 for 360 enrolled students (includes 80 outsiders and 280 our internal students), each 180 students in morning and evening session in 3 different computer labs @ 9:00 AM to 5:00 PM and on Day 2 i.e 21st Nov, 2018, 480 students (80 outsiders and 400 internal students of our college) attended the "MDF Talk on different topics" like Google Clouds, Augmented Reality, Machine Learning, Panel Discussion with Developer Certification Alumni and Question & Answer Session @9:30 to 1:30PM. Conduction of such programme was the great achievement that college conducted that takes the initiative to empower or spread the new technology along with the Google Team besides with their curriculum that brings motivation in our students a lots more in their carrer. An Initiative to fill the colors of education in the life of Poor Children. GL Bajaj. A donation drive was organised on 9th March by Mechanical Engineering Department under the banner of ICC GL Bajaj. In this program School Bag, Stationary items were distributed among the underprivileged students in a school situated in Alpha One. PULSE-2014, a Music and Quiz competition in campus on 15th November, 2014 This fun filled inter college event had around fifteen activities and two hundred plus participations. GL Bajaj alumni were invited to interact with and motivate B.Tech final year batch on 23.08.2014. Many enthusiastic Alumni visited back the campus to guide and encourage their juniors! The session worked wonder for the 4th year students who were somewhat uncertain and worried about the uncertainties they have to handle during placement interviews.